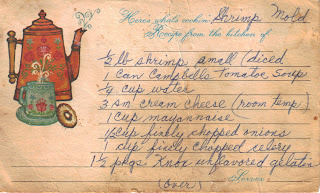 Remember that Shrimp Mold served at holiday time with the Tomato Soup? Along with the Deviled Ham Spread? Hmmmmm...well that's what was popular back then. I kind of liked that shrimp mold, but I wanted it to taste like shrimp cocktail instead of those bland ingredients in the retro version. I combined the old with the new and I think I came up with a pretty tasty version! And still kept that "shrimp" color! Bring chili sauce and water to a boil in a medium saucepan. Add gelatin and stir until completely dissolved. Add cream cheese and mix until combined. Add remaining ingredients. Spray mold or bowl with non-stick spray. Add shrimp mixture and refrigerate until set about 6 hours or overnight. Unmold and serve with crackers. Garnish with additional horseradish, cocktail sauce and lemon zest, if desired. If you don't want to serve this in a mold, you can put it in a pastry bag and pipe on to crackers. Shrimp Cocktail on a cracker! This is a whole new concept to me..I never saw or considered a shrimp mold! I think i will be a hit at my next Bunko! thanks! I am your newest follower..pls follow back if you can! 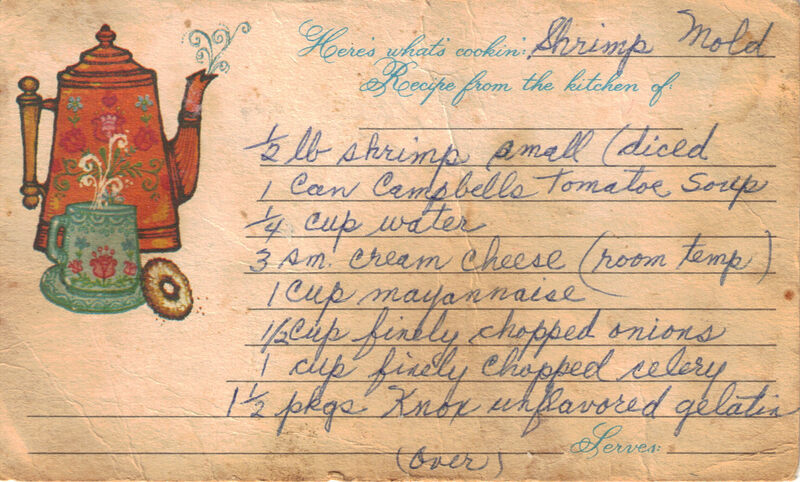 Gotta love these old recipes! I think I remember this one, but you've done a great job making a good thing better. 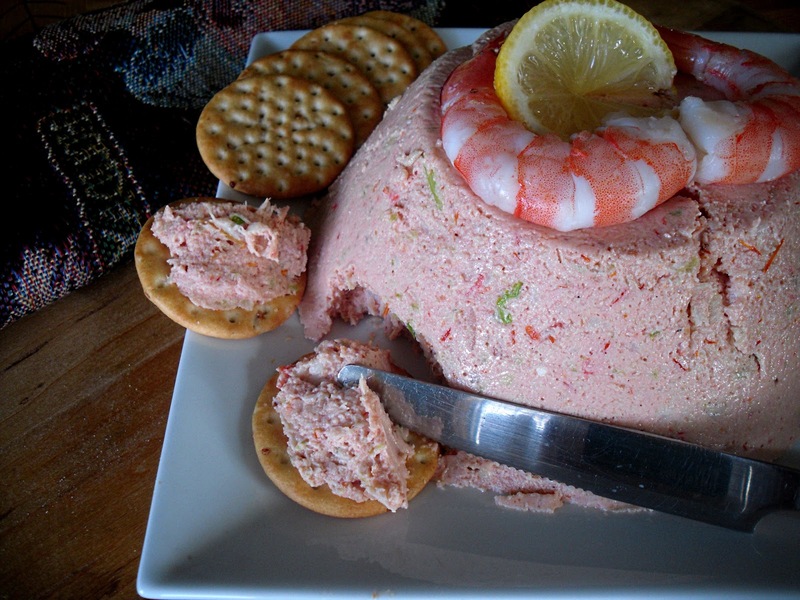 Beautiful shrimp mold!